I’m an island girl. I love the sun, sea, and sand. And I’m lucky—because I work for an airline, I can run off to Hawaii for the weekend, which I’ve done more than 20 times. Maui is my favorite getaway. There are so many beautiful beaches within easy reach. And if I get the urge to leave the water, there’s a lot to explore. I’ve been to Maui at least six times, and I’ve done something new each time. Here are some of my favorites. When it comes to beaches, Maui is the island to beat. 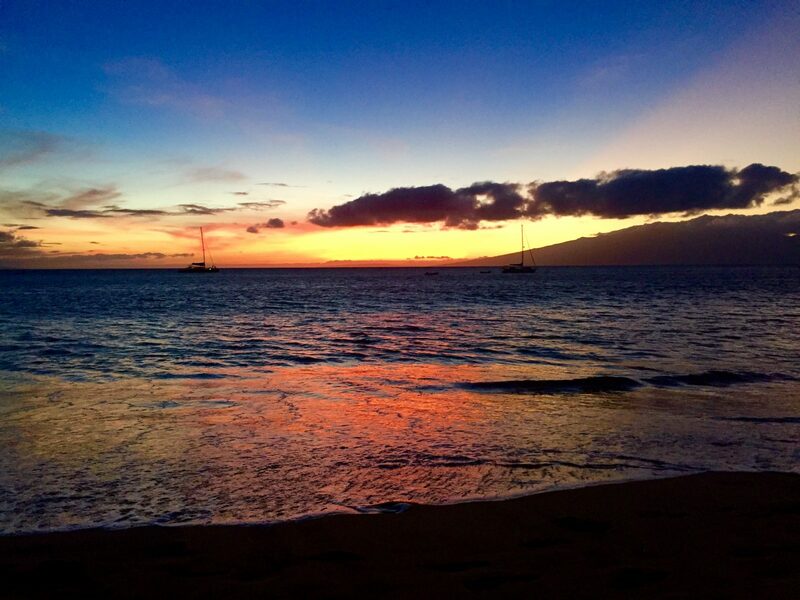 If it’s your first time on Maui, you’ll probably stay somewhere on or near Kaanapali Beach. This 3-mile stretch is arguably the best beach on the island. Hotels and condos dot the beach, so you can conveniently step out to greet the sun every day. The sand is fine and golden, the beach is wide, and the surf is calm. My first time here, I nearly stepped on a sea turtle swimming right under my floaty! We usually stay in Kihei in South Maui; we like the local feel of the town and the variety of good, inexpensive dining. However, the coastal drive from Kihei to Kaanapali shouldn’t be missed. And if you get antsy for some water, there are even good spots to simply pull off Highway 30 before you get to Lahaina. Look for cars parked on the sand under the trees—the locals know where to find the best picnic and swimming spots! This is where the action is on Maui. The old town, centered on Front Street, has all kinds of shopping and dining. If you like art, there are some cool galleries to check out here too—my personal favorite is Chris DeRubeis’ unusual metal art. 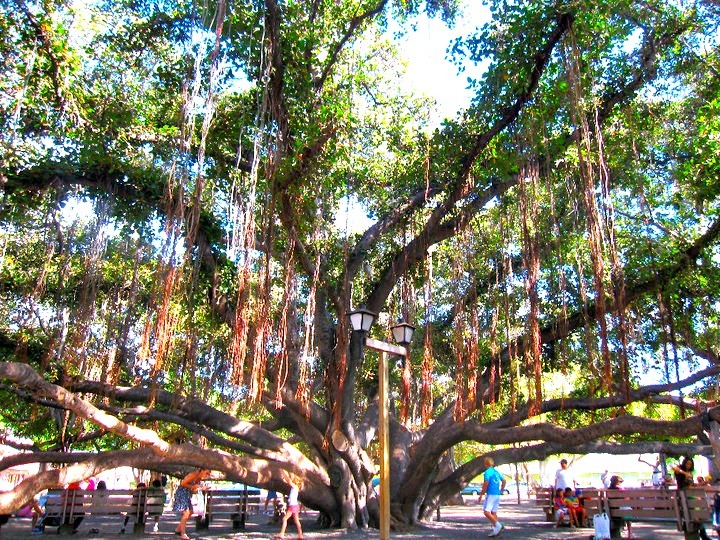 Another thing you shouldn’t miss is the old banyan tree near the Lahaina Courthouse. Dozens of branches spread from the central trunk, giving the illusion of multiple trees grafted together. The tree covers a whole block and provides a home to local myna birds. At night, yellow lights around the tree give it an almost fairytale-like atmosphere. Just off Maui’s southwest shore is a crescent-shaped atoll—the remains of a volcano. Now designated a marine sanctuary, Molokini is a popular snorkel and dive spot. The island’s shape protects the inner curve from strong ocean currents. Coral reefs house diverse sea life, including 260 species of fish. The island is home to a community of seabirds. To protect the wildlife, Hawaii’s state government and the U.S. Coast Guard limit access to Molokini. 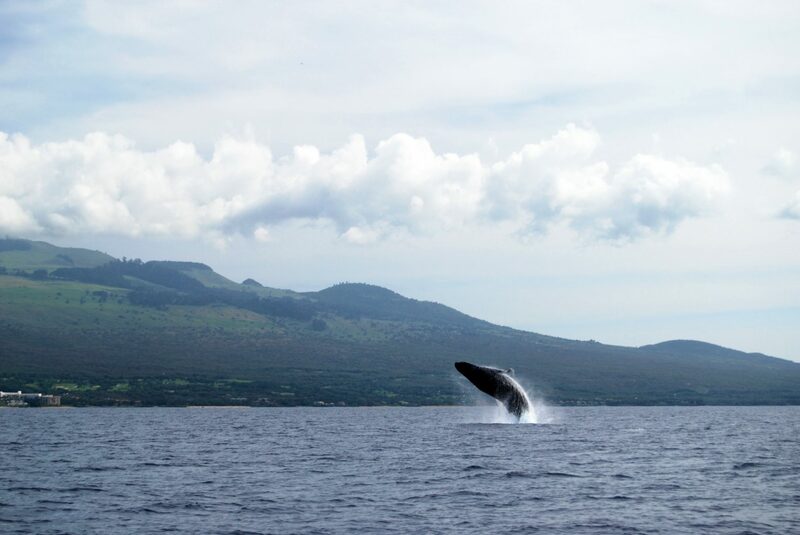 Luckily, you can join one of several boat tours usually departing Maalaea Harbor. And if you go during (November to May), you’ll probably spot one (or even a family) along the way! While it can be tough to get out of bed early when you’re on vacation, the seas are calmest and visibility is best in the morning, so I suggest taking one of the morning tours. Then you can spend the rest of your day lounging on the beach. This isn’t so much of an attraction as a road trip featuring a collection of sights. 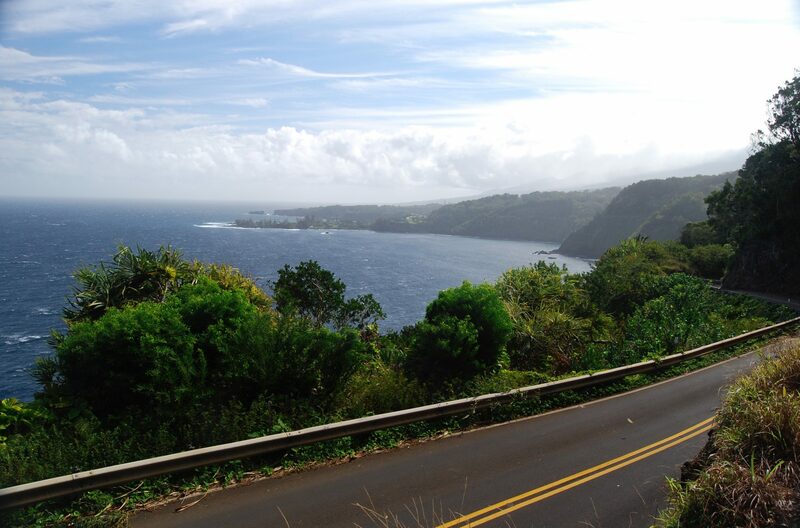 Driving the Hana Highway is an experience. I’ve heard people say “This was a day of my life I’ll never get back.” I’ve also heard people sing its praises. 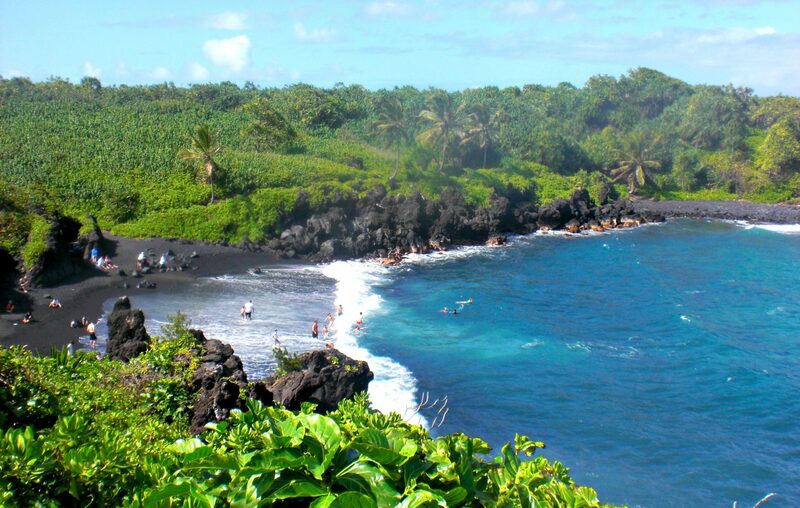 The drive begins in Kahului and travels east on Highway 360 toward the lusher, wetter side of the island, to the town of Hana. It’s not far—only about 52 miles—but takes a few hours thanks to the winding cliff road, a good chunk of which is only one lane wide. To be honest, I’ve never made it all the way to Hana. I’m just not a morning person, and trying to do this drive in a single day requires you to get up very early if you want to make it home before dark. And trust me, you don’t want to drive the Hana Highway in the dark—there are no lights, making a tough road even scarier. However, it’s worth doing this drive at least once. There are multiple sights you can stop for along the way: a bamboo grove, several waterfalls, more than a few hikes, and some unusual beaches, including the black sand of Waianapanapa State Park (the furthest I’ve ever driven). South past Hana is the Oheo Gulch with its seven pools, which look gorgeous. The drive itself has lovely views of the sea and the coast, as well as the valleys. To get the best experience, spend a night on the Hana side so you don’t try to do everything in a single day. Or choose a few interesting stops, and focus on taking those in. Take turns driving so everyone gets a chance to admire the view. The sunrise here is legendary, and people often drive an hour in the middle of the night to reach the summit in time to watch the first rays peeking above the clouds. Taking a bike ride from the summit back down to the coast is another popular activity. I’ve never done this. Not a morning person, remember? What I have done is drive up to see the sunset. The summit is 10,000 feet above sea level, and it’s barren up here—almost like you’re on Mars, or the moon. You can park your car at the visitor center and climb up to a ridge to look westward to the setting sun. The clouds below you, the sun sinking into the sea in a burst of orange-red light … it’s just stunning. Bring a sweatshirt or jacket, as it can be chillier at the summit than on the rest of the island. If you give yourself time before sunset, you can check out the other viewpoints like the Leleiwi and Kalahaku Overlooks. After the sunset, stay for a while before driving down – on a clear night, the stargazing up here is the best on the island. From mountain to sea, Maui has something for everyone. Ready to book a trip? Search for flights at alaskaair.com. 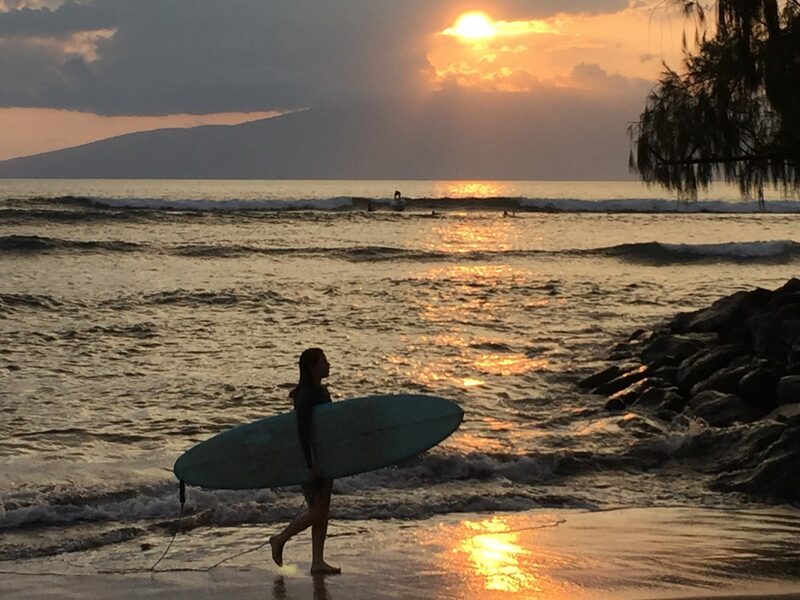 5 comments on "5 must-do’s on Maui, Hawaii’s Valley Isle"
Forgive the name, but Slaughterhouse Beach was an amazing find on the Western shore. My wife and I absolutely loved it. Also, Fish Market Maui on Honoapiilani Rd between Kaanapali and Kapalua, is one of the best lunch spots we found. Add Mama’s Fish House to the list! Worth the price for such great food and the view. …each Hawaiian landscape is unique and picturesque…. Backpacking overnight around the in-crater loop is a unique experience.